My daughter is starting to recognize patterns in addition such as 3 groups of 3 is equal to nine or I can figure out 5 fives by skip counting by fives. It’s exciting to see her forming these connections before I formally introduce multiplication. As I’ve been thinking about the best ways to introduce and model multiplication for her, I’ve been working on a lesson pack to share with my readers as well! These games (and so much more) are included in the bundle, but I’m excited to share these simple, printable multiplication games to practice these important skills FREE today! And that’s it! These games are a super simple and fun way for kids to practice their multiplication facts as they dash to the finish! All players place their game piece on start. They then take turns rolling the die and moving forward that number of spaces. They must then correctly answer the multiplication problem on that space. If correct, they can stay on that space. If incorrect, however, they must go back to their previous space. (It is up to the other players to pay attention and make sure they give the correct answer). The first player to reach the finish wins! 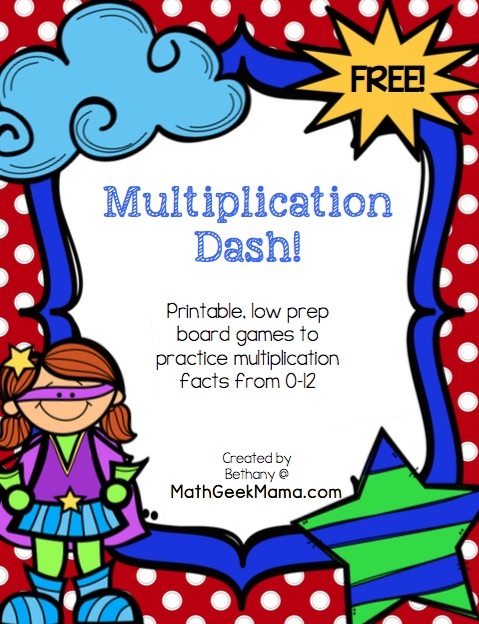 As I mentioned, there are 3 different printable multiplication games in this download. I wanted there to be some variety so that if you are working on specific facts, you could use a different game board. The first game board only includes facts from 0-5 for beginners. The second game board includes facts from 2-12 for general practice and review. And the third game board includes facts from 6-12, so if you want to focus specifically on the more challenging facts, you can. All game boards are labeled so that you know which facts are covered, and in black and white for easy printing. 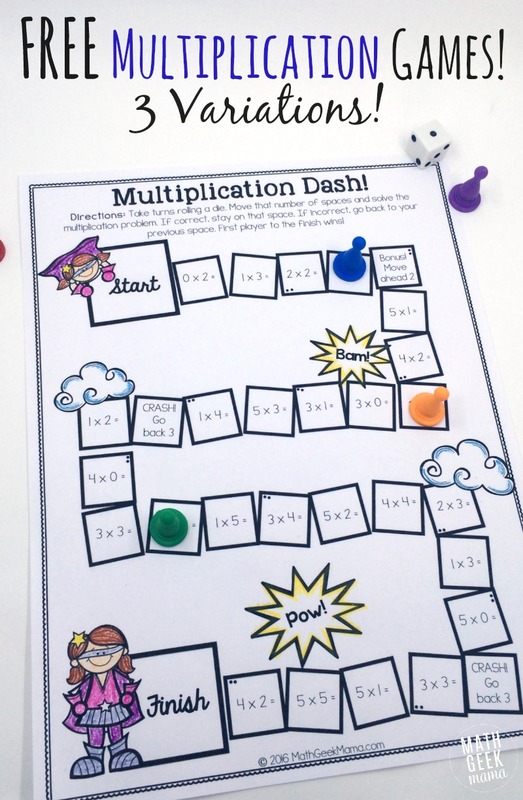 Ready to grab a copy of this fun, super hero themed “Multiplication Dash” game set? GREAT! Click the link below to get a copy! 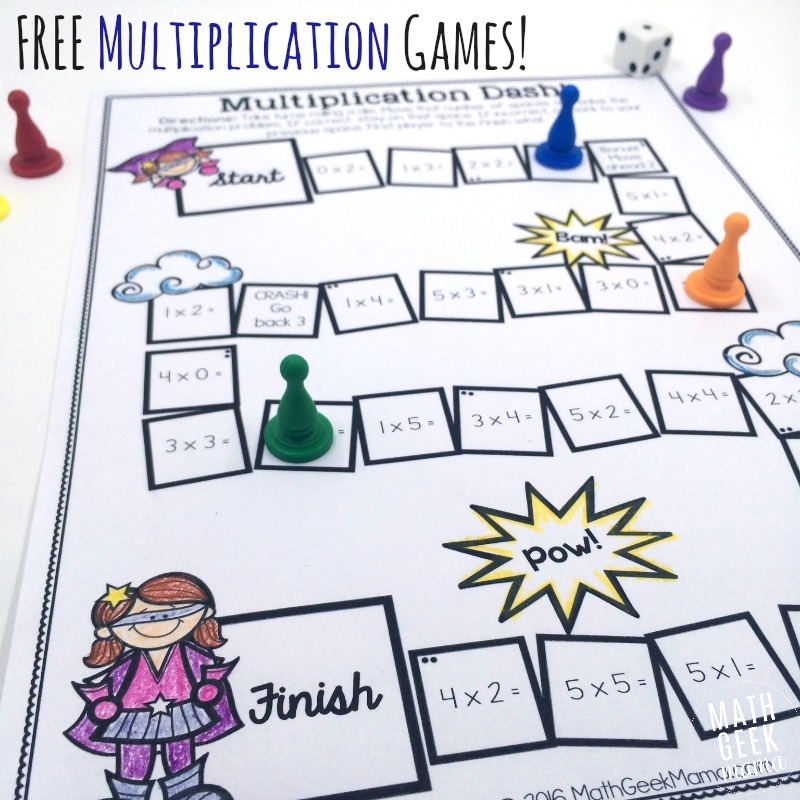 Love this set of printable multiplication games? 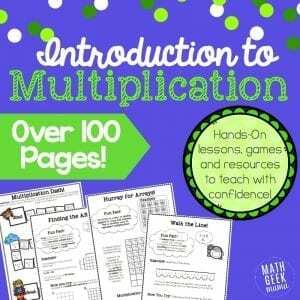 They’re included in my Introduction to Multiplication lesson bundle! The bundle includes color and black and white versions, as well as an additional game for finding the missing factor! The interesting game just like snake and ladder, according to me parents can easily teach their kids while playing and kids will also take the interest in it. This game is amazing! Allows the kids to have fun while ensuring that they are actually learning the math facts, not just regurgitating numbers. Thank you for sharing these games! The educational games are great to reinforce the knowledge in a fun and interactive way.